Divorce vs Separation Agreement: Which One Is Right For You? More and more couples are opting for a legally binding separation agreement rather than divorce. Learn the benefits of both and when to consider each inside. It's a sad but unfortunate truth: Approximately 2.6 million Canadians divorced in 2017. This represents about a 780,000-increase from the previous 1.88 million divorcees back in 2000. It also shows the changing perspective people have not just over divorce, but marriage itself. 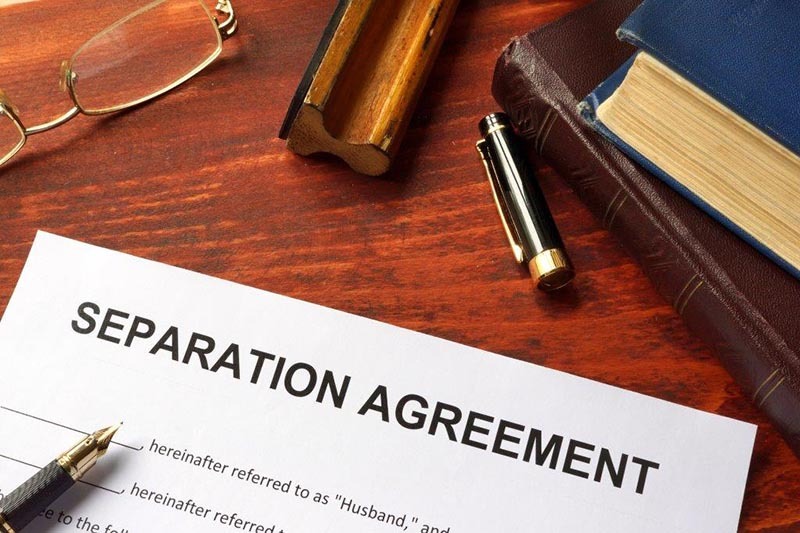 If you're considering this route, understand that you do have options other than a divorce, and that is through obtaining a separation agreement. To further simplify the processes for you, I'll present the facts you need to know about divorce and legal separation in Canada, and what you should do following your decision. These are just some of the many other factors that trigger married individuals into getting a divorce, but they are the most common. Perhaps you find yourself in one of these situations, which is why you are considering filing for one yourself. Divorce: Is It Really the Best Option? Regardless of your reasons for wanting a divorce, it's best that you rethink your decision several times before pushing through with it. This is especially true with a separation agreement possibly offering you a wiser alternative. Can you justify how you feel? Have you considered the possibility that you're making more out of what's happening and what you're feeling? Is there anything you can think of to save your marriage? Are you already convinced that there's no repairing your marriage? Deciding to end your marriage is one of the biggest, emotionally-charged decisions you can ever face, and one that can affect you in the long run. This is especially true if you still have minor children. What Makes Separation Agreement Different from Divorce? When filing for a divorce in Canada, it's vital you understand how complex and lengthy a process it is. In a nutshell, you need to go through ten basic steps to complete it. Opting for a marriage separation agreement, on the other hand, typically require less from both parties, not to mention giving you the opportunity to avoid having to take things to court. When you and your spouse decide that legal separation is the best way to approach the marriage, both of you will enter a legally-binding agreement that covers the most important things. From handling property and assets to dealing with debts, and most importantly, agreeing on child custody matters, you and your spouse must give consent on all these. You and your spouse will both agree to legally separating and how both sides will handle property, asset, and debt allocation. You and your spouse will reach an agreement regarding all matters involving your children and how to meet their best interests. You and your spouse are still undecided on divorce but would like to legally separate prior to finalizing your decision on ending the marriage. You are considering legal separation and would want to discuss terms for property division. You have plans of meeting with a lawyer regarding how best to approach the end of your marriage, and would like to prepare an outline for property, asset, and debt division. Keep in mind that divorce doesn't automatically take place even after some time that you and your spouse have entered legal separation. Nor does this mean that a divorce will automatically happen after legally separating. Canada Pension Plan Distribution is governed by Federal Rules and exists outside the Matrimonial Property Act of Alberta and can apply to married or common-law couples and is based on the amount of time spent together. Matrimonial Property calculations, in the absence of a Matrimonial Property and Separation Agreement are based on values as of the date of divorce NOT separation. It is important to also understand that Matrimonial Property falls under the Matrimonial Property Act of Alberta, while Divorce falls under the Divorce Act of Canada. Once the court finalizes a divorce, or as soon as it issues a Divorce Decree, this already means complete termination of the marriage. However, when you opted for a Marriage Separation Agreement, you are still legally married, even though it's a legally-binding agreement. You and/or your spouse are not emotionally-prepared for a divorce yet. You and/or your spouse may not want to live under the same roof but also don't want to get a divorce. You and/or your spouse want to keep benefits, such as medical insurance, government-provided, or tax incentives that you otherwise will no longer receive after a divorce. You will pay spousal support throughout the separation period, but you need an agreement to ensure the deduction of the payments on your tax return. You and your spouse want to finalize matters involving properties and finances before beginning the divorce process. These are just some of the common circumstances wherein entering legal separation is more appropriate or suitable than immediately ending your marriage through divorce. In the event you find yourself nodding in agreement to one or several of the above circumstances, then you may want to have this agreement first before making much bigger decisions. One last thing to keep in mind is that while many couples have chosen this path, it doesn't automatically make legal separation the right choice for you. Divorce is complex both legally and emotionally; and, so is legal separation. Your confusion is completely understandable. Don't worry; we can help. Feel free to contact our firm regarding any questions about Divorce, Separation, and all aspects of family law in Alberta and Canada. This entry was posted in separation agreement by verhaeghelaw. Bookmark the permalink.